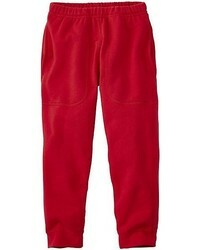 Your little angel will look uber cute in a grey sweater and red sweatpants. 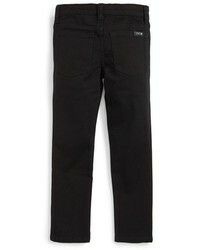 Black sneakers are a smart choice to complement this getup. 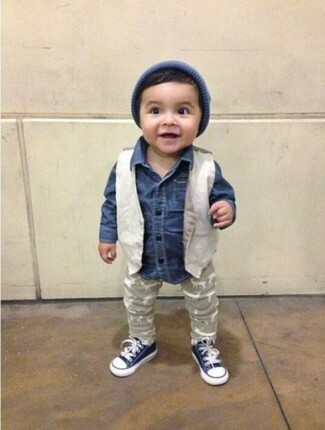 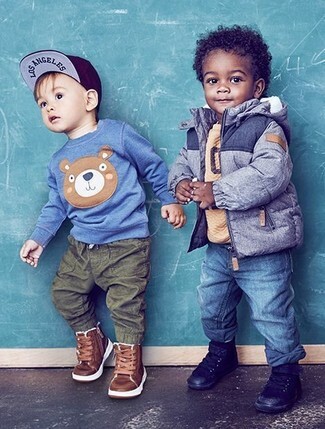 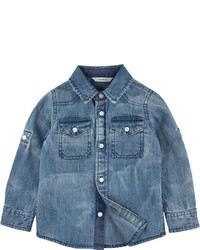 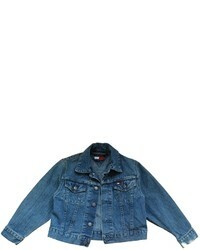 Your child will look uber cute in a blue denim jacket and blue jeans. 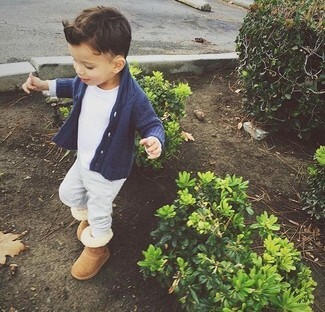 As far as footwear is concerned, let your little guy choose a pair of tan boots. 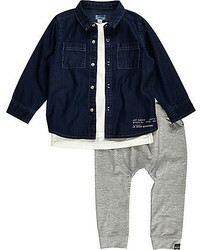 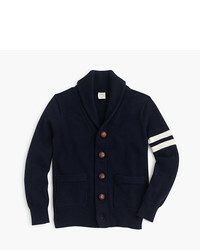 Keep your child's outfit laid-back in a navy cardigan and grey sweatpants. 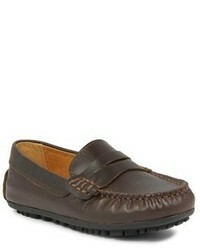 Finish this ensemble with tan uggs. 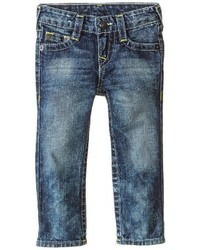 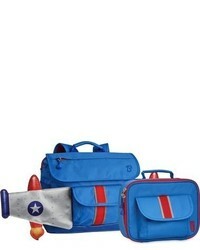 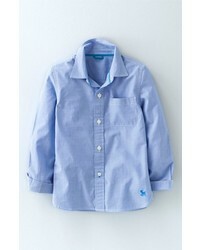 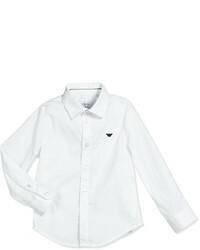 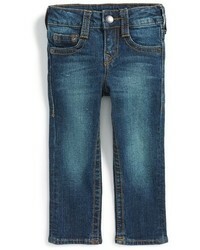 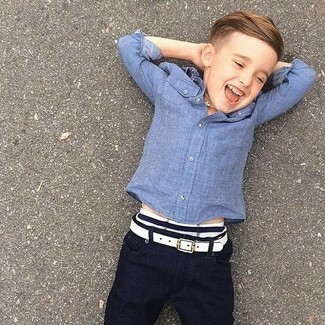 Suggest that your little angel pair a blue chambray long sleeve shirt with navy jeans for a trendy and easy going look. 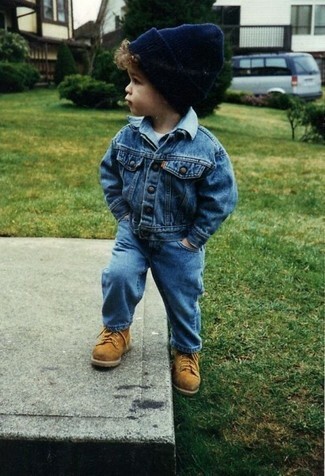 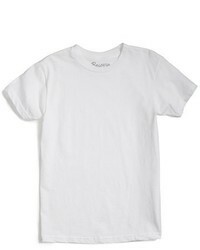 This getup is complemented brilliantly with white sneakers. 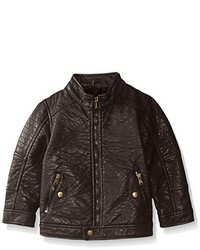 Suggest that your munchkin pair a dark brown leather jacket with navy jeans for a comfy outfit. 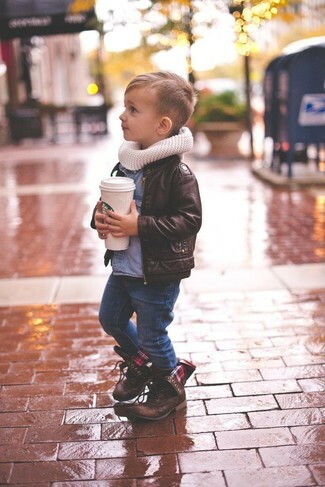 As for footwear your child will love dark brown boots for this getup. 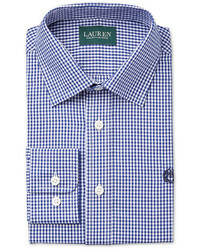 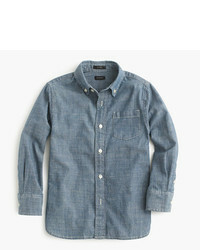 This combo of a blue chambray long sleeve shirt and navy jeans is both a functional and fashionable choice for your son. 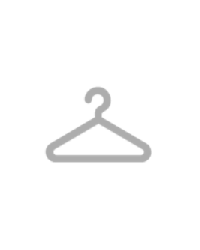 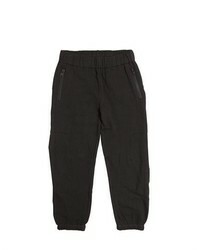 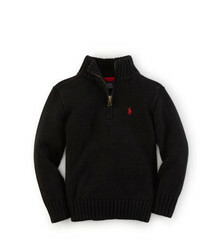 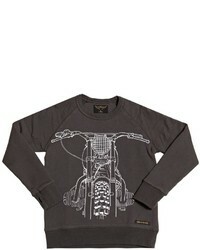 Suggest that your darling team a tobacco sweater with black sweatpants for a comfy outfit. 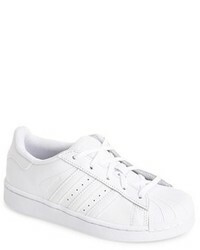 White sneakers are a wonderful choice to complement this ensemble. 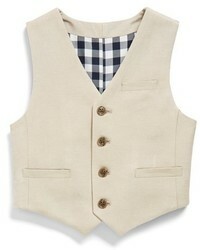 Suggest that your child pair a beige waistcoat with beige sweatpants to get a laid-back yet stylish look. 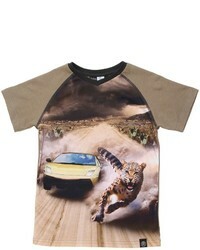 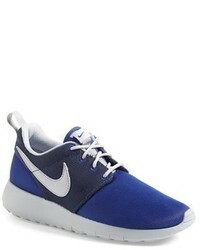 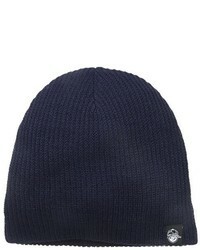 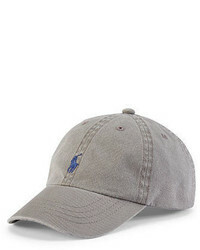 This style is complemented brilliantly with navy sneakers. 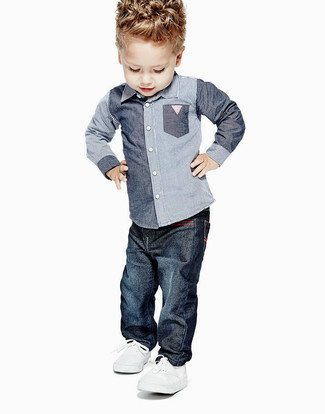 For an everyday outfit that is full of character and personality suggest that your child reach for a brown blazer and blue jeans. 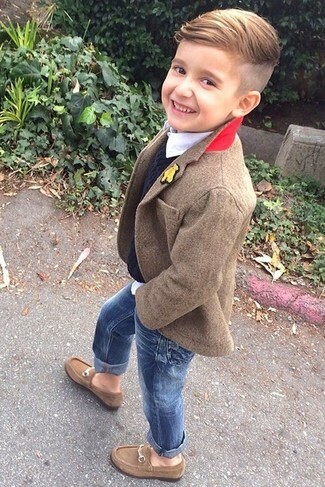 As far as footwear is concerned, let your child rock a pair of brown loafers. 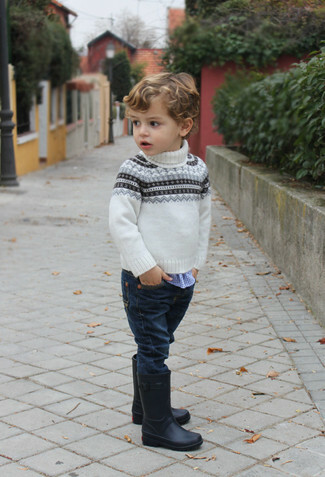 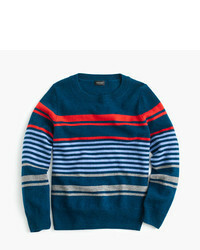 Keep your tot's outfit laid-back in a white fair isle sweater and navy jeans. 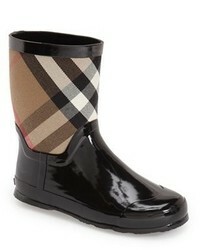 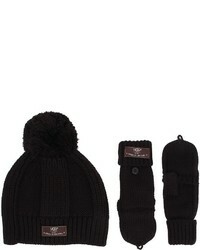 As far as footwear is concerned, suggest that your little one go for a pair of black rain boots. 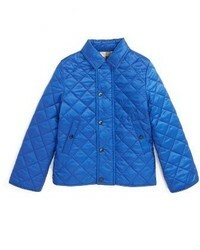 Suggest that your little one choose a blue jacket and blue jeans for a comfy outfit. 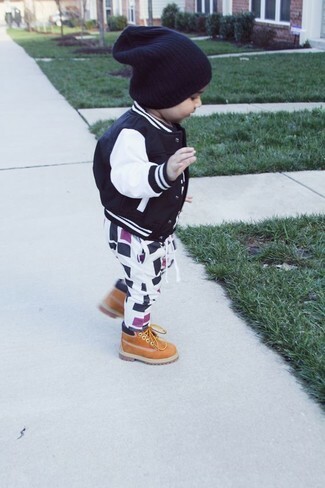 Black sneakers are a smart choice to round off this outfit. 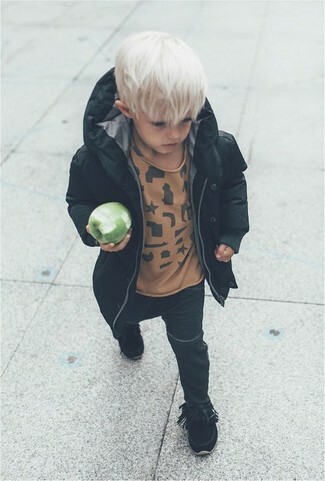 Suggest that your little angel team a black bomber jacket with white and black sweatpants for a fun day out at the playground. 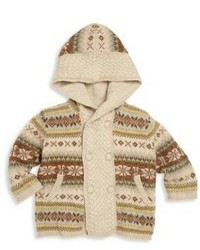 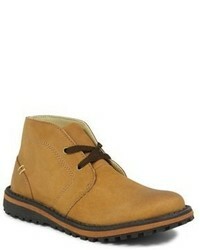 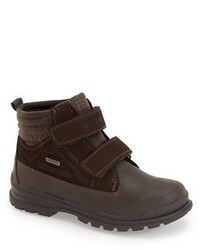 As for footwear your little man will love tan boots for this style. 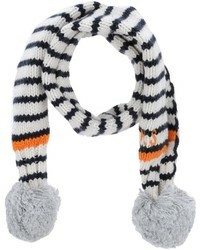 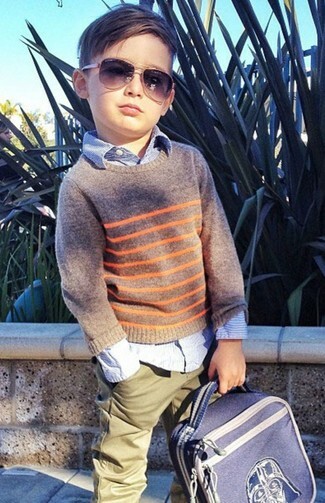 Suggest that your tot choose a grey sweater and navy jeans for a fun day in the park. 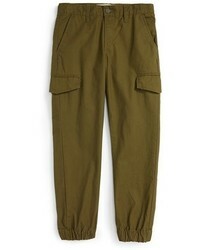 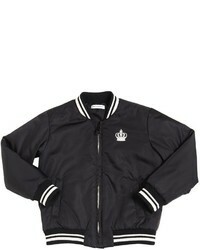 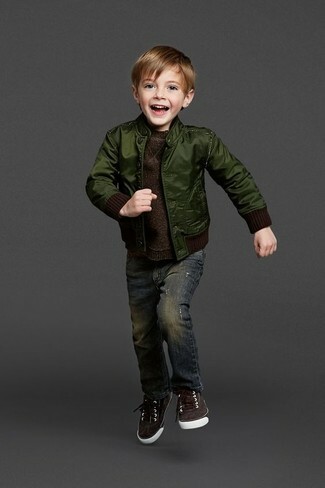 Suggest that your child pair a dark green bomber jacket with navy jeans for a fun day out at the playground. 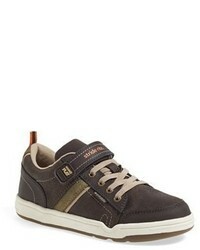 This style is complemented nicely with dark brown sneakers. 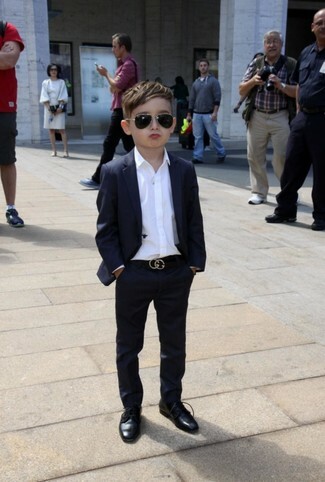 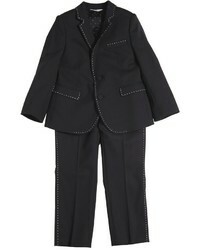 Create an enviable style for your little one by dressing him in a black suit and a white long sleeve shirt. 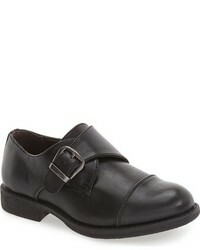 This look is complemented really well with black oxford shoes. 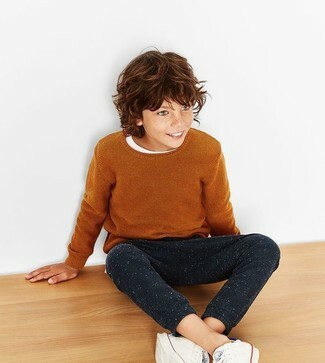 Go for a grey sweater and olive trousers for your little angel to create a smart casual look. 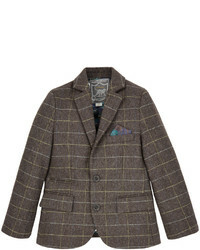 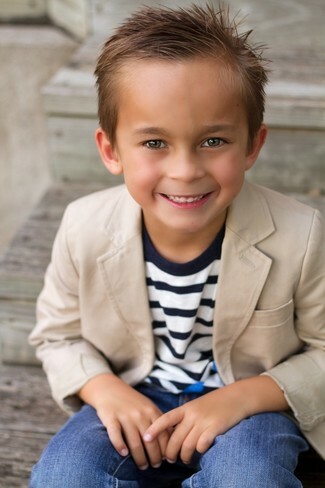 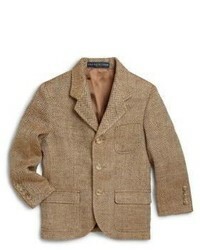 Go for a tan blazer and blue jeans for your son for a trendy and easy going look. 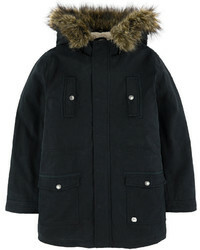 Consider dressing your boy in a black parka with black jeans for a comfy outfit. 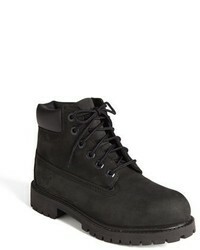 This look is complemented really well with black boots.